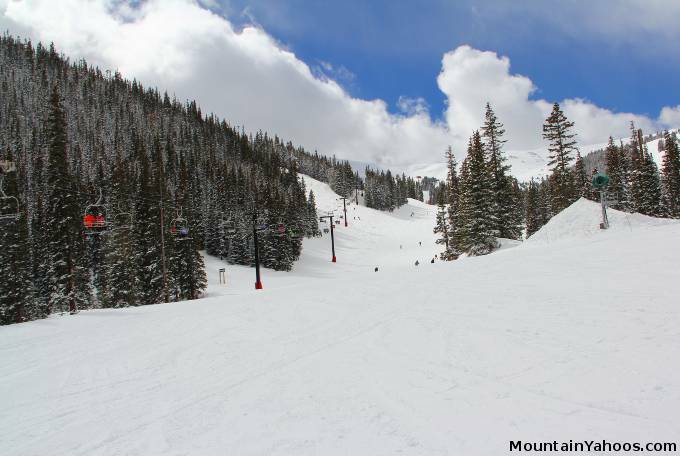 Loveland Ski Area is the mountain ridge one encounters just before the Eisenhower tunnel when traveling West on I70 from Denver, in fact Loveland is very close to Denver (only 53 miles). 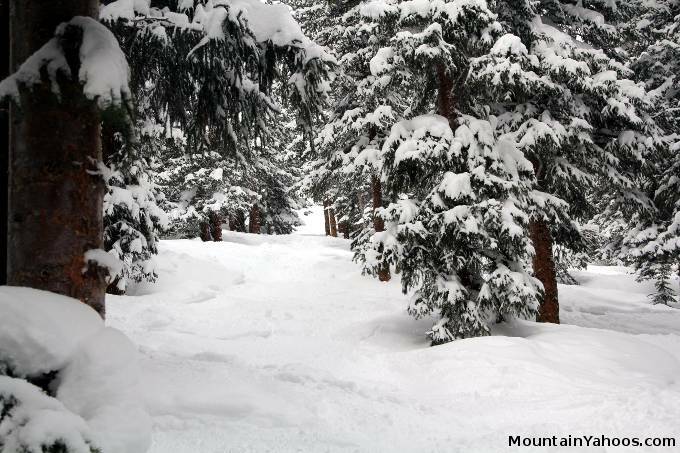 This Mountain occupies the terrain along the East side of the continental divide. 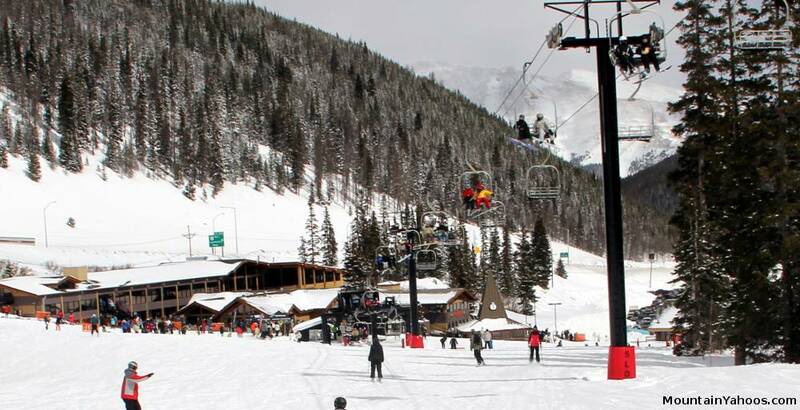 Lift tickets are about half the price of many of its Colorado rivals and Loveland offers a full variety of terrain for all riders. 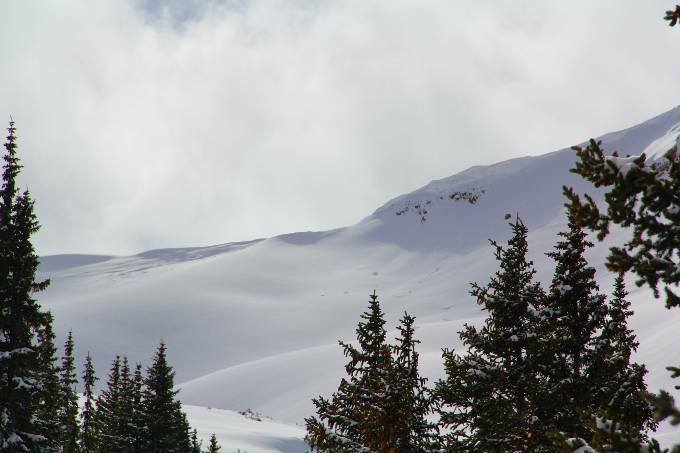 Hike-able and snowcat accessible terrain greatly expands your options. 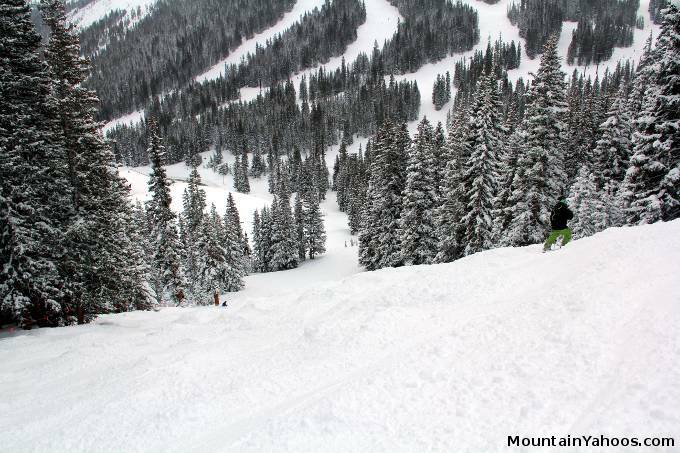 The snowcat skiing is free and is first-come-first-served. 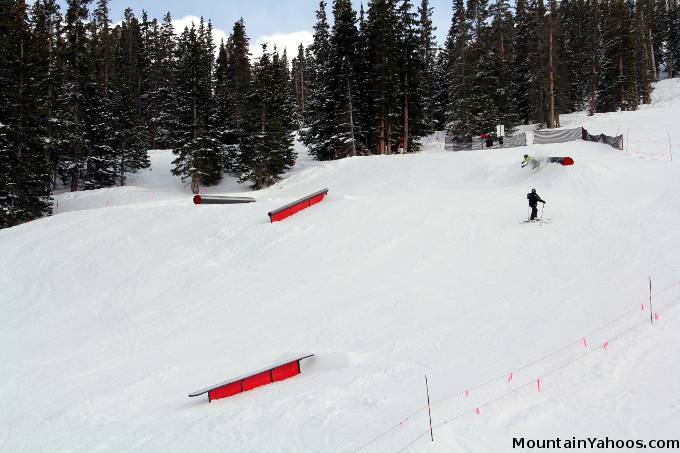 There is a distinct and small "Loveland Valley" for beginners only and the much larger "Loveland Basin" covered here for beginners to advanced riders. 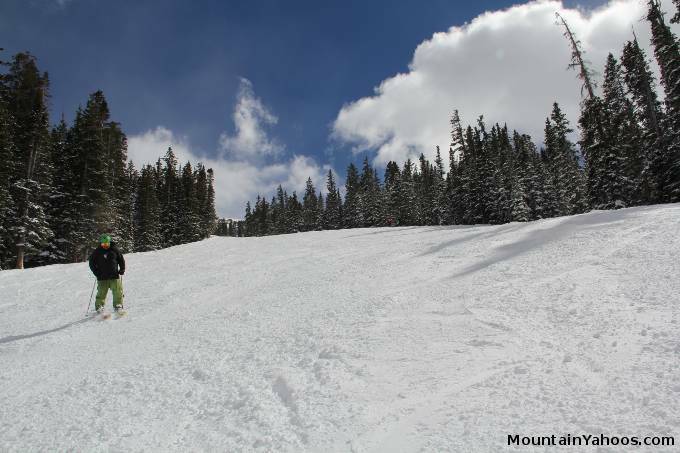 The mountain has plenty of terrain for beginners and intermediates. 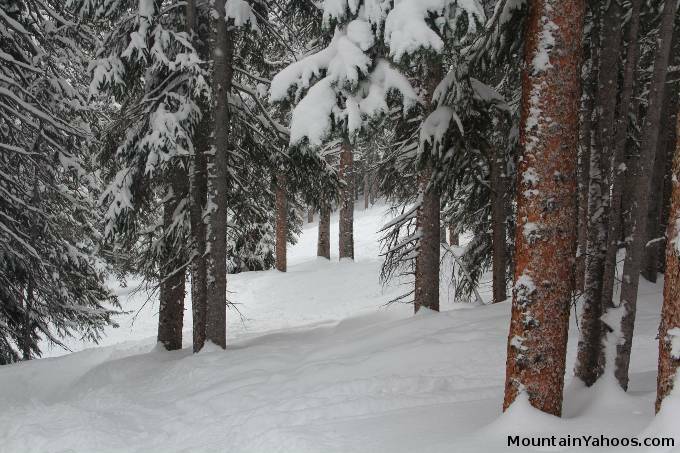 The most aggressive part of the mountain is accessible from Lift one and the upper terrain accessible from lift nine. 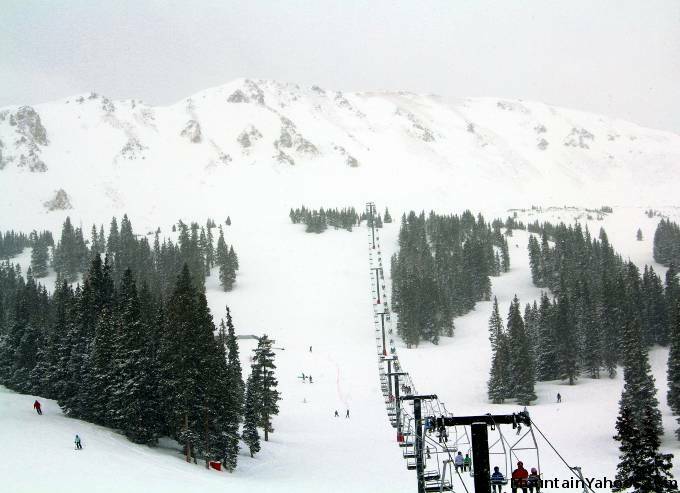 List nine is the only lift which does not offer an easy way down. Beginners are safe riding any other lift. Advanced upper terrain off of the ridge above lift 6. One must hike straight up the back country access points to get this area. The upper terrain to the North (trail map right) is snowcat accessible and this is where one finds the fresh powder after a snow dump. There is no lift to this area. Pick up the snowcat (when operating) just beyond Gate 1 North of chair 9. 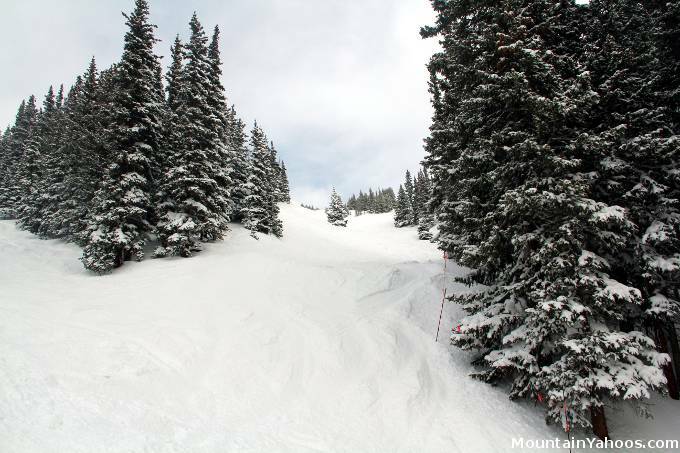 The skiable terrain is above chair 9 to above chair 4. 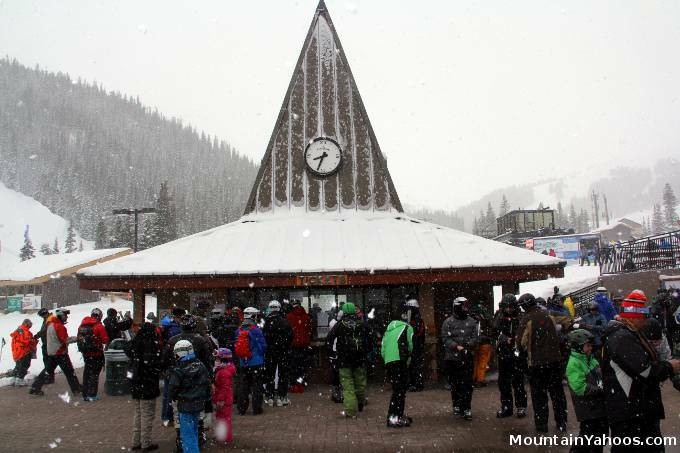 Although free, you must sign a waiver in order to pick up a snowcat pass. 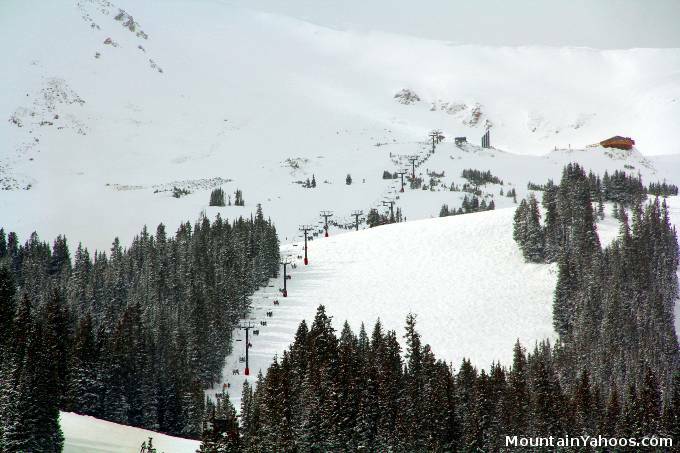 Snowcat operations are from Wednesday to Sunday, 10:00 to 2:20. View looking up a portion of "Spalshdown"
These tree runs are found between "Zip Basin Street" and "Zip Trail" leading to the base of chair 8. 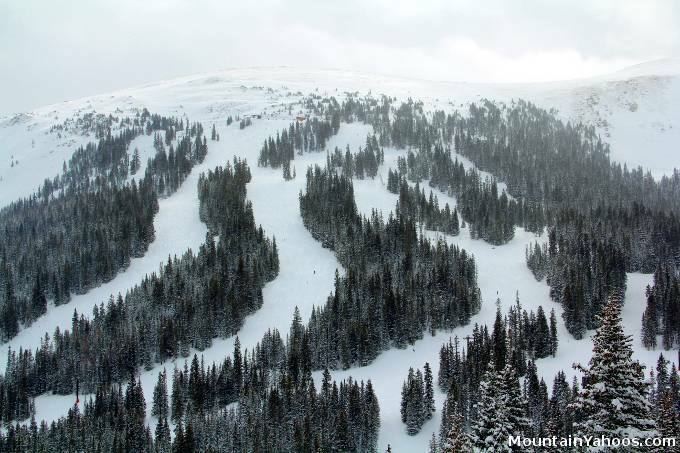 This resort has many options when it comes to tree skiing. Great on a powder day! 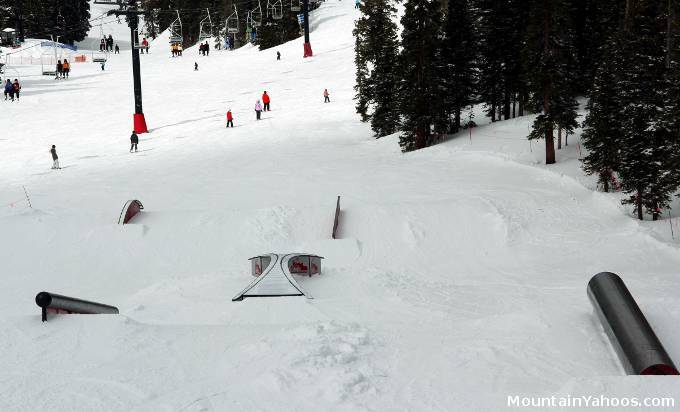 There is one terrain park area which has some of your basic features. Look for the blue run "Roulette", off of lift six. Most enjoy the mountain ride over the park. 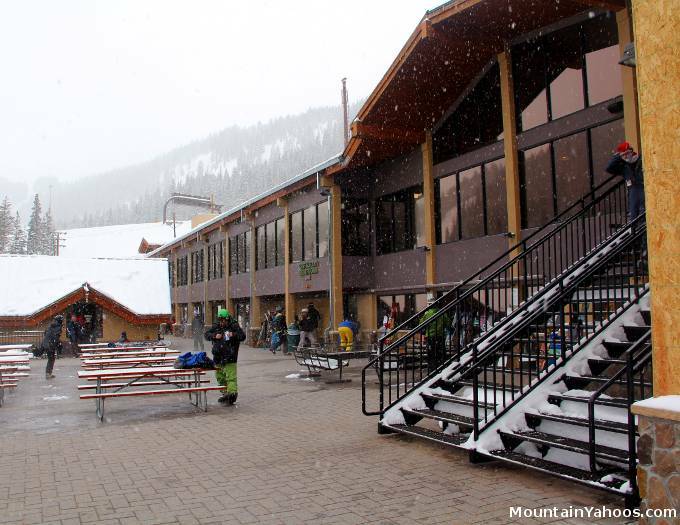 One will find that the Loveland mountain base has the basic necessities for the day: sports, repair and rental shops, ski school, food and an apres ski bar. 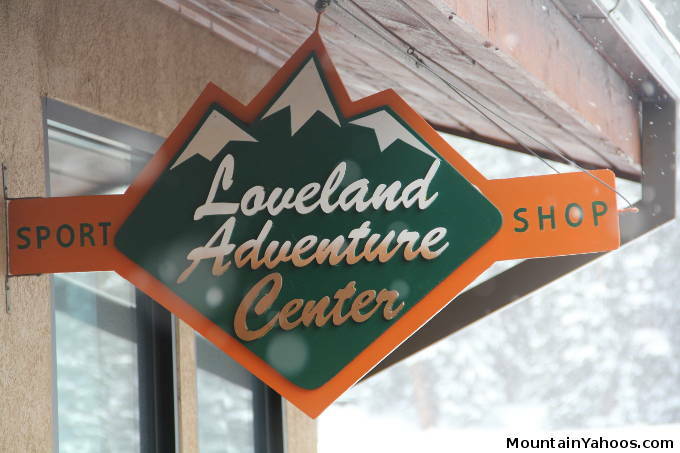 There are in fact facilities at both "Loveland Basin" and at "Loveland Valley".